Angew. Chem. Int. Ed. 2010, 49, 9136-9139. Phys. Chem. Chem. Phys. 2010, 12, 13484-13498. Org. Biomol. Chem. 2010, 8, 3472-3479. Org. Lett. 2010, 12, 3544-3547. Phys. Rev. Lett. 2010, 104, 200501-200504. Adv. Mater. 2010, 22, 3690-3694. J. Appl. Phys. 2010, 107, 124509-124517. Org. Lett. 2010, 12, 2124-2127. Chem. Eur. J. 2010, 16, 3933-3941. Angew. Chem. Int. Ed. 2010, 49, 1854-1857. Adv. Funct. Mater. 2010, 20, 272-280. Nature Chem. 2010, 2, 12-13. J. Phys. Chem. B 2009, 113, 14854-14867. Optics Express 2009, 17, 18478-18488. J. Phys. Chem. A 2009, 113, 10826-10832. Angew. Chem. Int. Ed. 2009, 48, 7488-7499. J. Am. Chem. Soc. 2009, 131, 13852-13859. Appl. Phys. Lett. 2009, 95, 31108-31110. Phys. Rev. B. 2009, 80, 45111-45118. J. Am. Chem. Soc. 2009, 131, 7948-7949. J. Am. Chem. Soc. 2009, 131, 7510-7511. Angew. Chem. Int. Ed. 2009, 48, 3244-3266. J. Am. Chem. Soc. 2009, 131, 6099-6101. J. Am. Chem. Soc. 2009, 131, 5522-5529. Nature Chem. 2009, 1, 69-73. J. Mater. Chem. 2009, 19, 2846-2852. J. Am. Chem. Soc. 2009, 131, 2758-2759. Org. Biomol. Chem. 2009, 7, 897-904. Org. Biomol. Chem. 2009, 7, 889-896. Org. Biomol. Chem. 2009, 7, 874-888. Nano Lett. 2008, 8, 4546-4551. 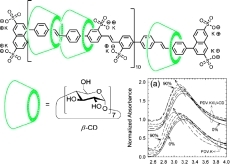 Synthesis and optoelectronic properties of nonpolar polyrotaxane insulated molecular wires with high solubility in organic solvents. Adv. Funct. Mat. 2008, 18, 3367-3376. Cyclodextrin-Threaded Conjugated Polyrotaxanes for Organic Electronics: The Influence of the Counter Cations. Adv. Funct. Mater. 2008, 18, 2419-2427. 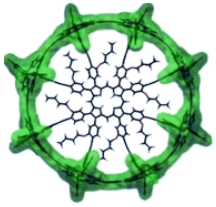 Expanding the Porphyrin π-System by Fusion with Anthracene. Org. Lett. 2008, 10, 3945-3947. 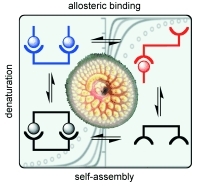 Control of Rapid Formation of Interchain Excited States in Sugar-Threaded Supramolecular Wires. Adv. Mater. 2008, 20, 3218-3223. 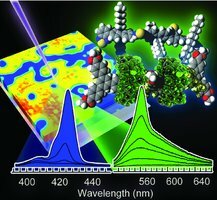 Porphyrin Dimer Carbocations with Strong Near Infrared Absorption and Third-Order Optical Nonlinearity. Angew. Chem. Int. Ed. 2008, 47, 7095-7098. Dynamics of Excited-State Conformational Relaxation and Electronic Delocalization in Conjugated Porphyrin Oligomers. J. Am. Chem. Soc. 2008, 130, 10171-10178. 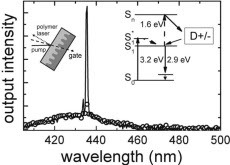 Single Molecule Conductance of Porphyrin Wires with Ultralow Attenuation. J. Am. Chem. Soc. 2008, 130, 8582-8583. 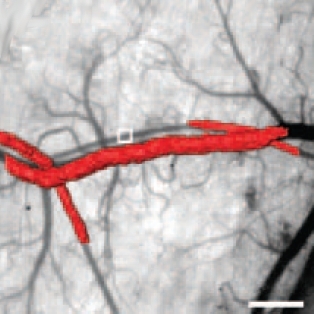 Blood-vessel closure using photosensitizers engineered for two-photon excitation. Nat. Photonics 2008, 2, 420-424. 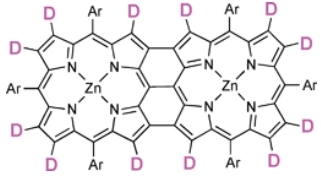 Enhanced π Conjugation around a Porphyrin Nanoring. Angew. Chem. Int. Ed. 2008, 47, 4993-4996. Stabilisation of a Heptamethine Cyanine Dye by Rotaxane Encapsulation. Three-Step Synthesis of End-Substituted Pentacenes. J. Org. Chem. 2007, 72, 9776-9778. 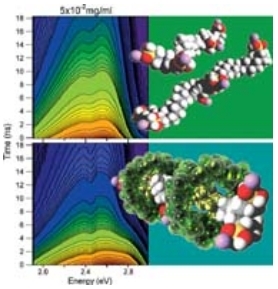 Supramolecular Control of Charge Transport in Molecular Wires. J. Am. Chem. Soc. 2007, 129, 13370-13371. Radical Cation Stabilization in a Cucurbituril Oligoaniline Rotaxane. J. Am. Chem. Soc. 2007, 129, 12384-12385. 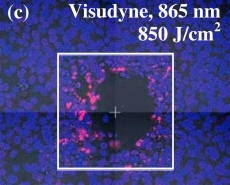 Quantitative In Vitro Demonstration of Two-Photon Photodynamic Therapy Using Photofrin® and Visudyne®. Photochem. Photobiol. 2007, 83, 1441-1448. Solid-Phase Synthesis of Oligo(phenylene ethynylene) Rotaxanes. Angew. Chem. Int. Ed. 2007, 46, 6845-6848. Control of Electron Transfer in a Conjugated Porphyrin Dimer by Selective Excitation of Planar and Perpendicular Conformers. Chem. Eur. J. 2007, 13, 7385-7394. Phase Segregation in Thin Films of Conjugated Polyrotaxane- Poly(ethylene oxide) Blends: A Scanning Force Microscopy Study. Adv. Funct. Mater. 2007, 17, 927-932. 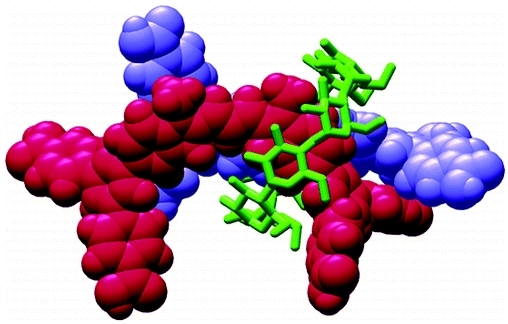 Photophysics of a Butadiyne-Linked Porphyrin Dimer: Influence of Conformational Flexibility in the Ground and First Singlet Excited State. J. Phys. Chem. C 2007, 7192-7199. 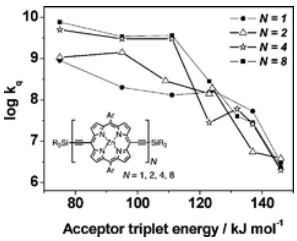 Determination of the triplet state energies of a series of conjugated porphyrin oligomers. Photochem. Photobiol. Sci. 2007, 6, 675-682. 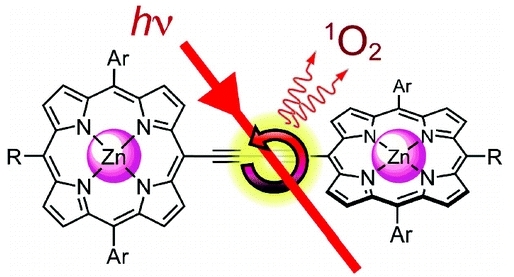 Synthesis and near-infrared luminescence of a deuterated conjugated porphyrin dimer for probing the mechanism of non-radiative deactivation. Org. Biomol. Chem. 2007, 5, 1056-1061. 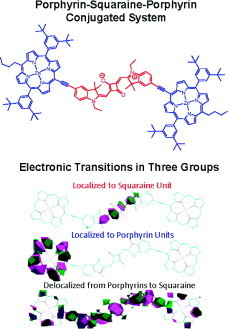 Probing the Efficiency of Electron Transfer through Porphyrin-Based Molecular Wires. J. Am. Chem. Soc. 2007, 129, 4291-4297. 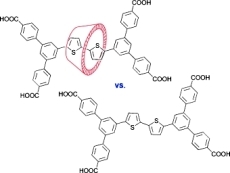 A cyclodextrin-insulated anthracene rotaxane with enhanced fluorescence and photostability. 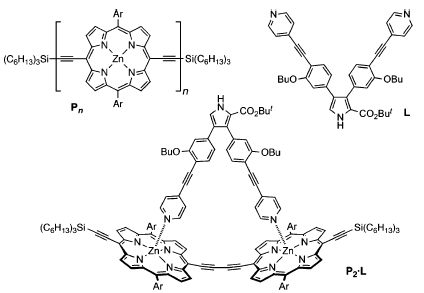 Template-Directed Synthesis of a π-Conjugated Porphyrin Nanoring. Angew. Chem. Int. Ed. 2007, 46, 3122-3125. 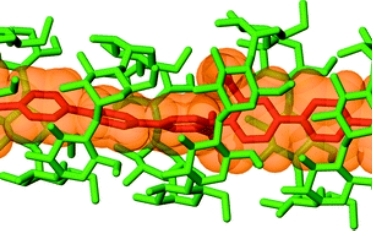 Metal-driven ligand assembly in the synthesis of cyclodextrin  and rotaxanes. Org. Biomol. Chem. 2007, 5, 457-462. 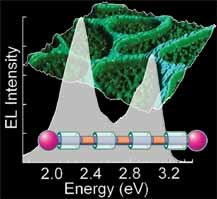 Intermolecular interaction effects on the ultrafast depolarization of the optical emission from conjugated polymers. Phys. Rev. Lett. 2007, 98, 027402-027402(4). Angew. Chem. Int. Ed. 2007, 46, 1028-1064. 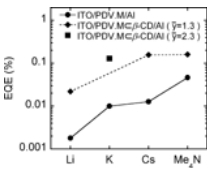 Photoexcitation dynamics in thin films of insulated molecular wires. Appl. Phys. Lett. 2006, 89, 232110-232110(3). 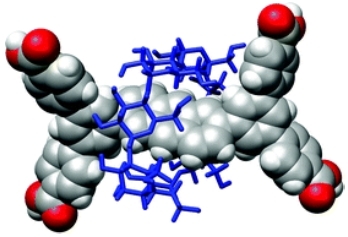 Homo- and Hetero-Rotaxanes with Two π-Systems Clasped in a Single Macrocycle. J. Am. Chem. Soc. 2006, 128, 15374-15375. 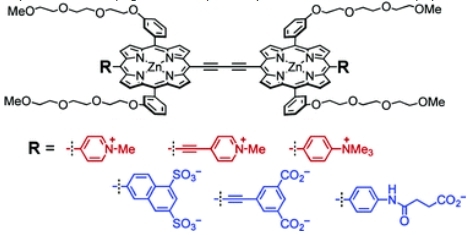 Strong Cooperative Enhancement of Two-Photon Absorption in Double-Strand Conjugated Porphyrin Ladder Arrays. J. Am. Chem. Soc. 2006, 128, 12432-12433. 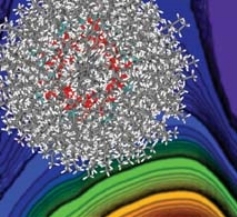 Towards Complex Functions from Complex Materials. Adv. Mater. 2006, 18, 1235-1238. 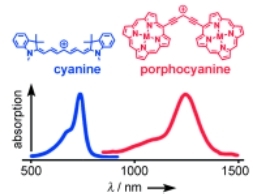 Enzymatic Synthesis and Photoswitchable Enzymatic Cleavage of a Peptide-Linked Rotaxane. Angew. Chem. Int. Ed. 2006, 45, 1596-1599.